Dr. Timothy B Garner, MD is a Doctor primarily located in Raleigh, NC. His specialties include Neurological Surgery. He speaks English. Dr. Garner has received 3 awards. The overall average patient rating of Dr. Timothy B Garner is Great. Dr. Timothy B Garner has been rated by 33 patients. From those 33 patients 9 of those left a comment along with their rating. The overall rating for Dr. Timothy B Garner is 4.2 of 5.0 stars. Dr Tim Garner is the best neurosurgeon. Implicitly trust him and his incredible skill and focus. He takes a very cautious approach before even thinking about surgical options. Well known and highly respected among the Triangle's medical community - I can't recommend Dr. Garner enough for his skill, compassion and thorough approach with all his patients! I am blessed to have found him!!!!! Great doctor by all counts! This man is dedicated and caring, a great doctor by all counts. He will never rush a patient to a surgical solution, but wants to ensure the best treatment options are employed. He is thoughtful, patient and expert at what he does. 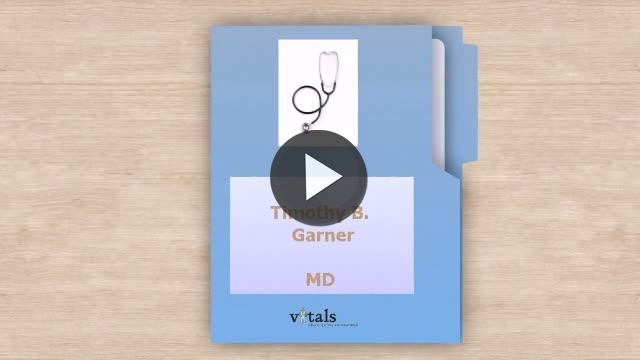 Take a minute to learn about Dr. Timothy B Garner, MD - Neurological Surgery in Raleigh, NC, in this video.